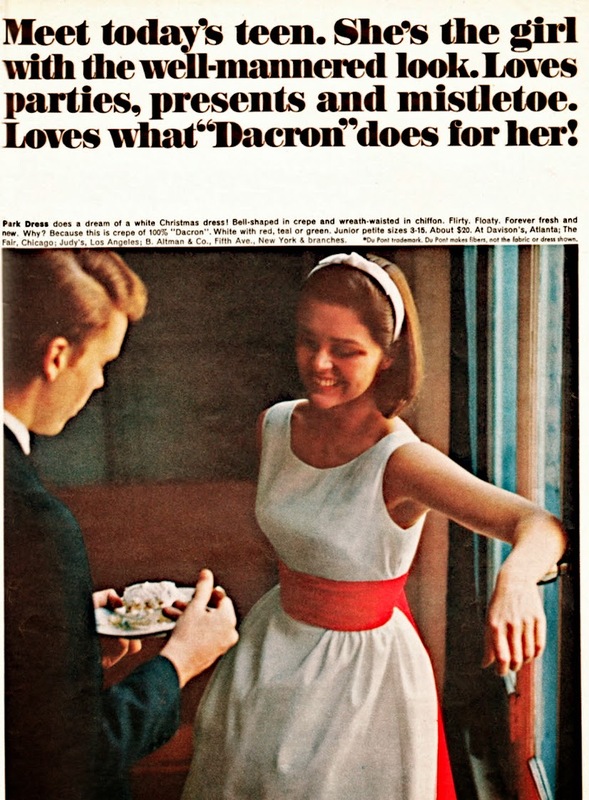 From 1963's "The Seventeen Magazine Book of Etiquette and Entertaining"
She is attractive physically -- clean, scrubbed, fresh, well-groomed, neatly put together. The physical attraction comes from good maintenance of the human machinery, maintenance to keep it in tune and cycling properly. As a teen you can build better understanding in many ways right in your own corner of the world. A few ways that mark you as nice clear through? Super fun sweaters like these maybe! telling dialect stories. Let the Scots tell the jokes about Scottish thrift, for example; then it's funny. (The great comedians turn the laughs on themselves.) It's not so funny to a Scot when someone of another group pokes fun at his group's supposed eccentricities or shortcomings. telling hilarious tales about two clergymen -- or deacons, nuns, rabbinical students or anyone -- who belong to a faith other than yours. If you honestly think the story is choice and is not disrespectful, switch it to your own religion. If your shoes don't match your jacket or tablecloth, glue some fabric on to make them match. To be avoided are also statements, such as the following, that would reflect on a group or profession: "She's not like most . . ." "He's very nice, really, for a . . ." "Some of my best friends are . . ." "Isn't that just like a . . ."
These four points about the good manners that make nice people stand out in a crowd lead us directly to a bigger subject, because nice people are also very nice to have around. To describe the matter candidly, they are attractive physically -- clean, scrubbed, fresh, well-groomed, neatly put together. You can be fairly sure the physical attraction comes from good maintenance of the human machinery, maintenance to keep it in tune and cycling properly.